Coarse filter：PP sediment filter +active carbon + silver coated active carbon. 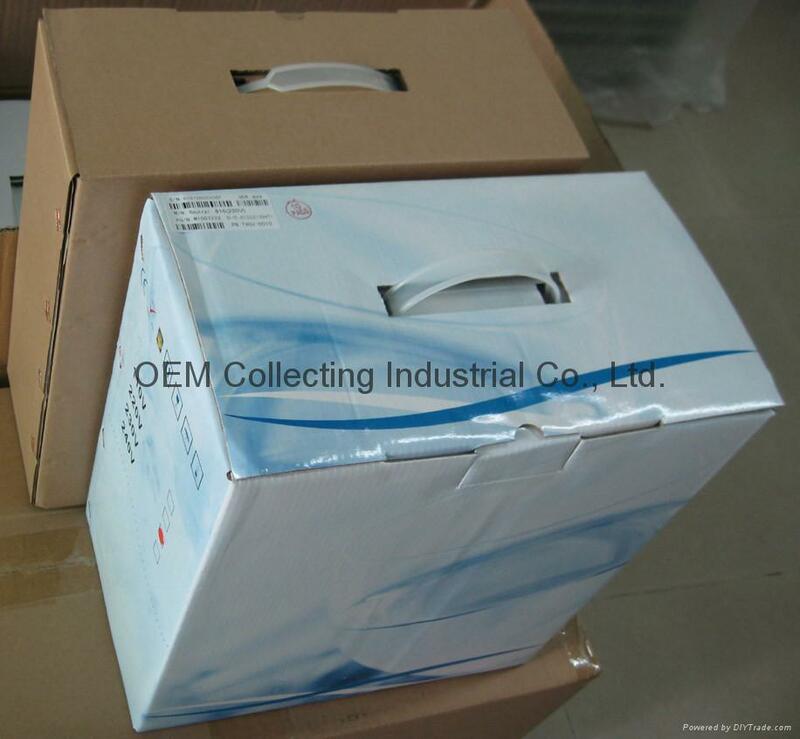 By applying the ion membrane imported from Germany, extra high ion purity is available. 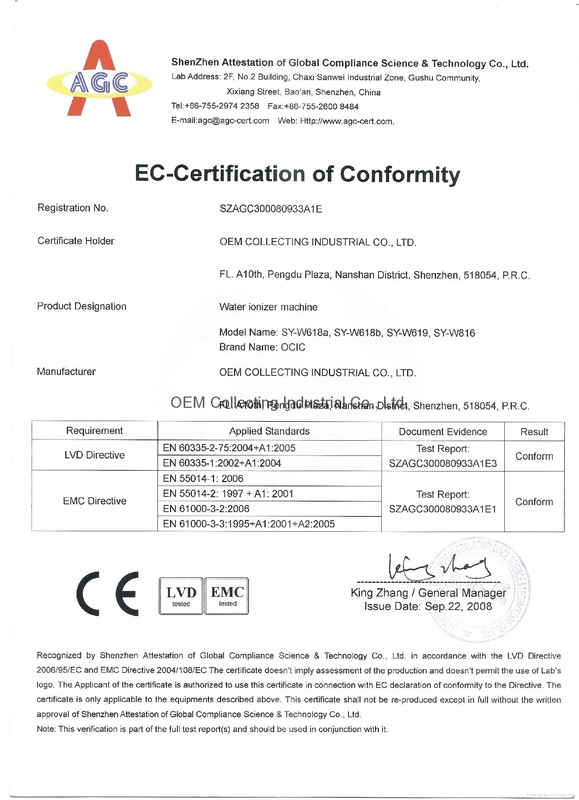 Automatic electrode reversing and electrolytic bath cleaning. 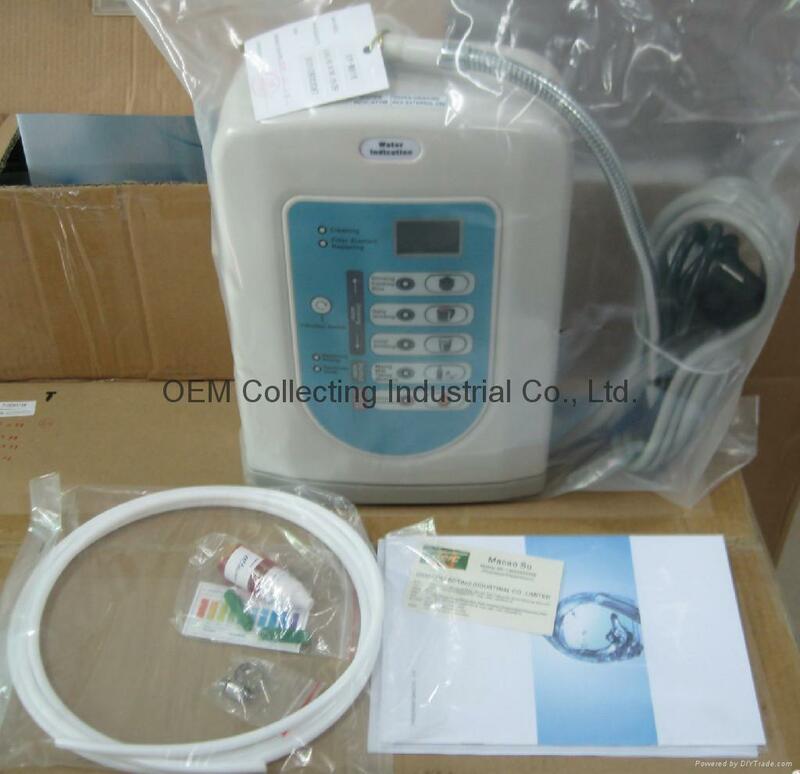 National patent V1.5 water quality control system is used. Major components can resist against erosion-corrosion with super anti-corrosive Ti-Pt alloy electrophoresis. With perfect pre-treatment and purification system. With unique 5-grade filtering system.